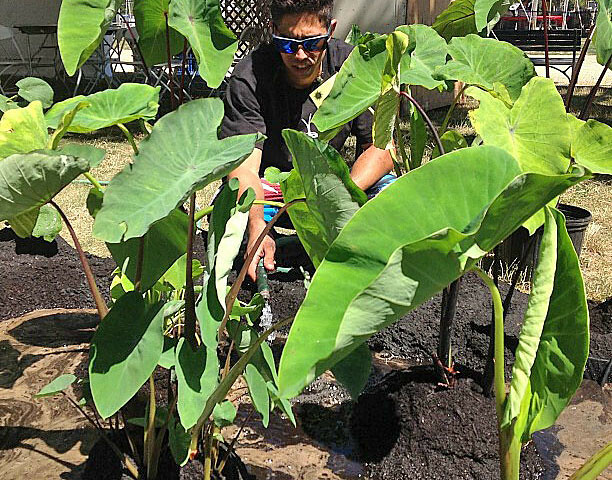 University of Hawaiʻi students, faculty, staff and supporting community members moved onto the National Mall in Washington, D.C. on June 26, where they will showcase hula, a taro patch, aquaponics and a host of other exhibits at the Smithsonian Folklife Festival starting the next day. Most of the delegates spent their first day in D.C. putting their exhibits together. Participants said they’re going with the flow, making do with what they have—even if it isn’t what they’re used to at home. 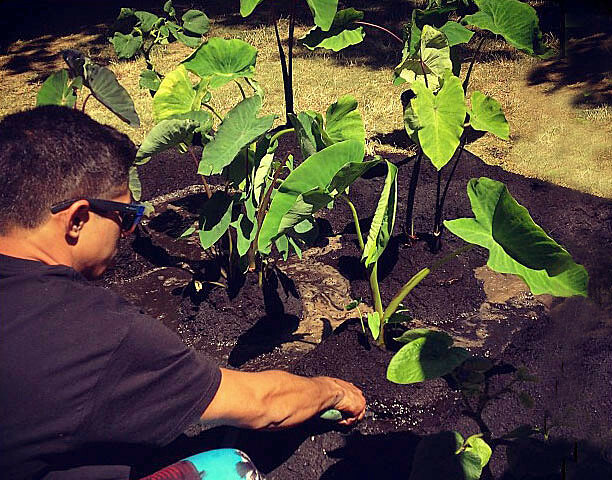 Hiapo Cashman, director of UH Mānoa’s Ka Papa Loʻi ʻO Kānewai, oversees the taro patch. “The soil is from here (D.C.). Apparently, itʻs from Home Depot or something, so itʻs way different from what weʻre used to using,” said Cashman. At the aquaponics exhibit where fish feed plants and plants feed fish, there were no fish. Students scrambled to find 30 goldfish at a D.C. pet shop. “At home, we use tilapia. Big tilapia. We have liʻi liʻi (small) fish here that costs 27 cents each,” said UH Mānoa graduate student Ilima Ho-Lastimosa. In addition, the plants are adjusting to less expensive clay balls, which students also purchased in D.C.
“At home, we use cinder. Of course, we got Mama Pele at home with all the lava, so cinder is abundant. 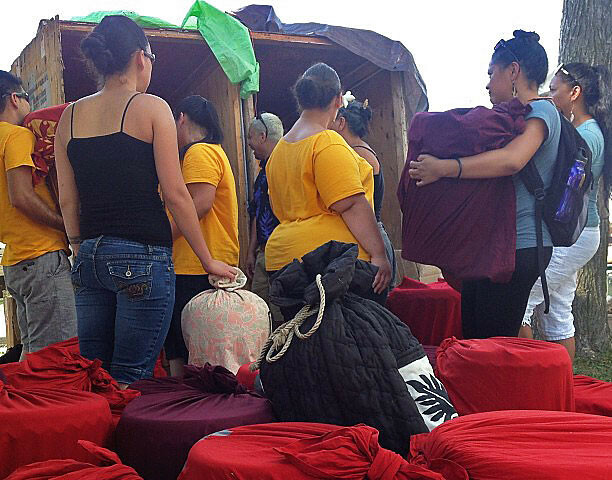 Here, it’s about 10 times the price,” Ho Lastimosa said. While the set-up was in full swing, UH President M.R.C. 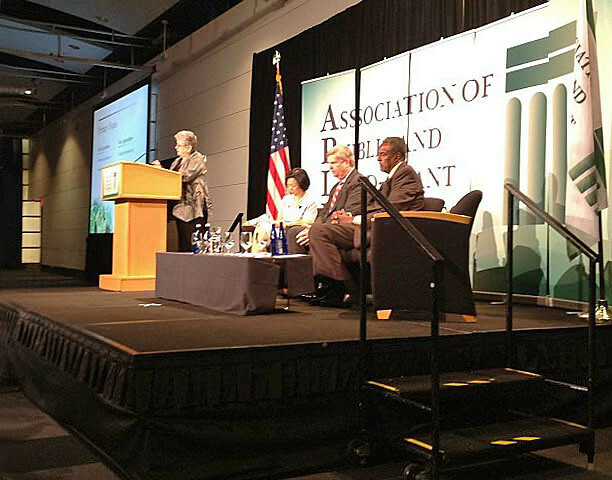 Greenwood joined educational and business leaders including Bill Gates, at the Association of Public and Land-Grant Universities conference celebrating the 150th anniversary of public land-grant universities. Greenwood participated in a panel discussion on agriculture and natural resources. “Being able to find highly productive crops that can grow in difficult circumstances and feed people who are very deprived is one of the things that the land-grant universities have always focused on,” Greenwood said. 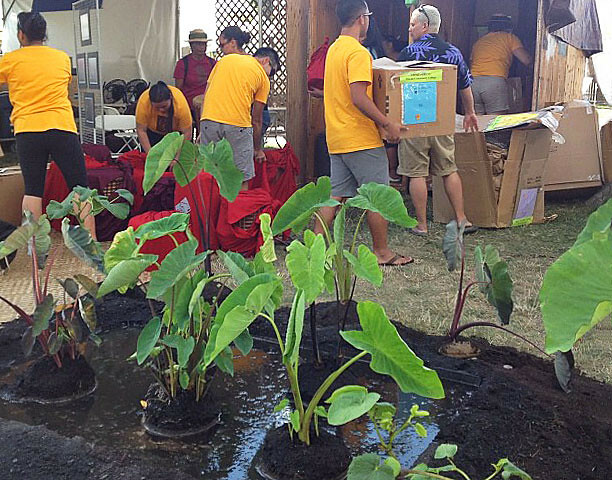 It is what the University of Hawaii will showcase over the next two weeks as more than a million people visit the Smithsonian Folklife Festival. The University of Hawaiʻi will be among 20 public land-grant universities to be featured in the Smithsonian Folklife Festival in Washington D.C. from June 27 to July 8, 2012. The festival celebrates the 150th anniversary of the signing of the Morrill Act, which paved the way for higher education for rural and working class Americans. 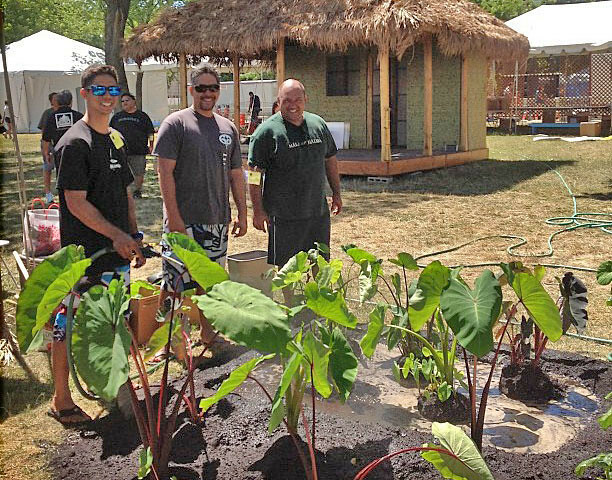 The University of Hawaiʻi exhibits will feature traditional Hawaiian health and healing practices, a mini taro patch, non-instrument navigation, medicinal herb and organic farming and much more. Hawaiʻi Community College’s halau Unukupukupu and the University of Hawaiʻi at Mānoa’s Tuahine Troup will also perform. See more on the University of Hawaiʻi’s Smithsonian experience. 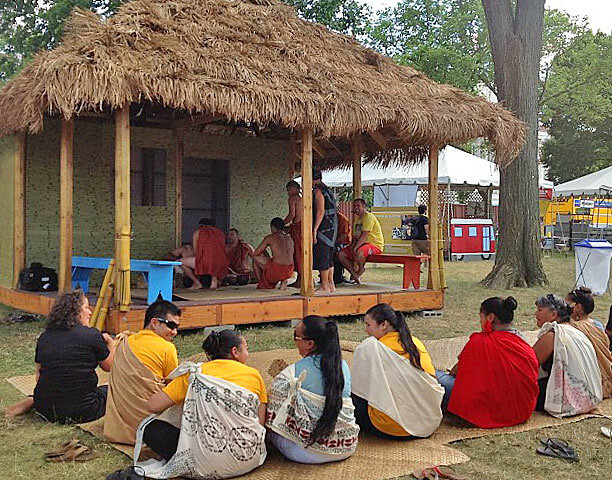 next post: UH opens Smithsonian Folklife Festival in D.C.